I've wanted to hold out as long as possible but I'm so excited about my besties upcoming baby shower, that I must share. 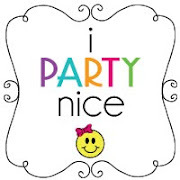 I'm going to be working on the decor for the shower and invitations as well. She's not a cutesy baby type of gal, so with her approval, I'm going for something a bit more edgy, with a baby twist. 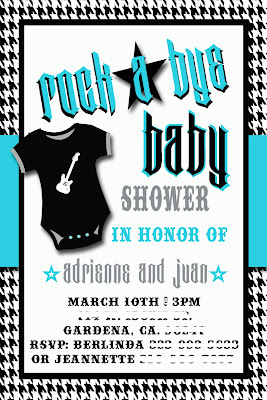 Here's a look at the invitation I made for her "Rock a Bye Baby" shower! What do you think? Thinking of adding it to my Etsy shop later on!? Too cool! Love the print and colors!